In my GameLab guild, we were asked to watch this TED talk by Tom Chatfield and reflect on it. Chatfield discusses the power of virtuality and wonders at videogames’ power to motivate and transfix us. 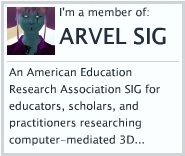 So, what can we learn about learning through games? What do developers do -how do they do it- to create such compelling games that people are spending $50billions in 2010? and the trend seems to be exponential. As Chatfield skims on the biology of learning and points to the importance of dopamine in the learning process, we begin to think about how the human species has evolved and take notice of the role of technology in our evolution. Of course, i am immediately reminded of the debate between Clark and Kosma (a great summary here: Hastings, N., & Tracey, M. (2004). Does Media Affect Learning: Where Are We Now? TechTrends 49(2), 28-30. ). I am more particularly reminded of “Homo Evolutis, Please meet the next human species,” a TED eBook by Juan Enriquez and Steve Gullans (2010)…and that book itself reminds me of “The Medium is the Massage: An Inventory of Effects“, co-created by Marshall McLuhan and Quentin Fiore (1967). McLuhan adopted the term “massage” to denote the effect each medium has on the human sensorium, taking inventory of the “effects” of numerous media in terms of how they “massage” the sensorium. 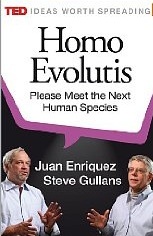 In “Homo Evolutis,” Enriquez and Gullans discuss the scientific fact of a new human species and how various technologies and concepts have enabled the rise of the new humanoid. Experience bars measuring progress: access to your growth stage> control, power. Short and long term aims: breaking the goal into multiple tasks. Reward efforts: mistakes are incomplete learning processes. Don’t stop the learning process by punishing mistakes. Implement a reward schedule. Rapid and frequent feedback: to link action to consequences. Other people: We are social animals afterall. Peer collaboration leading sophisticated player behaviors. Of course the thought that algorithms predict player behaviors and plays a part in the addictive potential of the games is a bit scary. I think the question is, what’s taking us so long to do the same thing with the educational system?